The disclosure scheme that allows US taxpayers hiding offshore accounts to come clean and face more lenient penalties will close in September 2018, the Internal Revenue Service (IRS) announced this week. 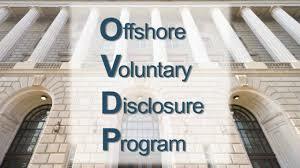 The IRS said it will start ramping down the offshore voluntary disclosure programme (OVDP) and end it on 28 September. By alerting taxpayers now, the IRS hopes that those who have not taken advantage of the scheme will be motivated to act. The planned end of the programme also reflects advances in the IRS’s oversight of taxpayers’ assets. This includes the foreign account tax compliance act (Fatca), advances in third-party reporting and increased awareness of US taxpayers of their offshore tax and reporting obligations. “Those who still wish to come forward have time to do so,” Kautter added. The OVDP has netted $11.1bn (£8bn, €9bn) for the IRS since it was launched in 2009. More than 56,000 taxpayers have used one of the programmes to pay back-taxes, interest and penalties. The number of voluntary disclosures peaked in 2011, when around 18,000 people came forward. That number has steadily declined over the years, with only 600 taxpayers coming forward in 2017. The IRS was quick to add that it will continue to use other tools in its arsenal to combat offshore tax avoidance. These include taxpayer education, whistleblower leads, civil examinations and criminal prosecution. Since 2009, the IRS Criminal Investigation unit has indicted 1,545 taxpayers on criminal violations related to international activities – resulting in 671 taxpayers indicted on international criminal tax violations. Don Fort, chief of the Criminal Investigation unit, said: “The IRS remains actively engaged in ferreting out the identities of those with undisclosed foreign accounts with the use of information resources and increased data analytics.